The BJP enjoys the predominant position in Indian politics today. In its journey from coalition politics to single-party hegemony, it has emerged as a very different entity from the one that first came to power in 1998. Veteran journalist Saba Naqvi—who has spent two decades covering the BJP—tells the story from the party’s founding in 1980 to its two stints in power. 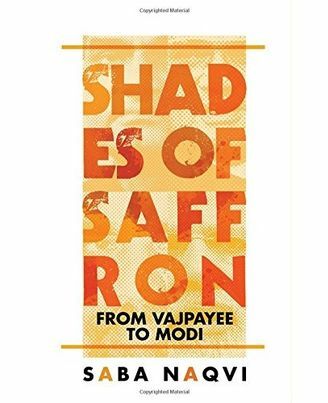 Shades of Saffron: From Vajpayee to Modi is both a first-person account of racy events as they unfolded in the nation’s history, and a work that raises larger analytical points about the BJP’s growth. It examines the role of the RSS cadre and its equations with elected leaders, the calibration of ideology, the issue of political finance and the social expansion of the party, as also the cults of personality that would emerge around, first, Atal Bihari Vajpayee and then, more forcefully, around Narendra Modi. The book provides a riveting account of the party’s difficult journey from ‘untouchability’ (when allies were unwilling to join) to its presumed ‘invincibility’ today. Naqvi’s long-standing equations with members of the party, developed over two decades of consistently fair reporting, delivers a narrative full of insights that are both fresh and deep, and anecdotes that are as lively as they are telling. In revealing hitherto unknown aspects, and reminding readers of the bigger picture, Shades of Saffron is a deep dive into the contemporary history of a party that keeps reinventing itself. One of India's best-known political analysts, Saba Naqvi is the author of two books, In Good Faith (2012; an exploration of India's pluralistic traditions in an age of identity politics) and Capital Conquest (2015, which examined the sudden rise of the citizen’s party AAP). The former political editor of Outlook magazine, Naqvi is now a columnist and a familiar face on television as an election analyst and commentator. Her core area of expertise is the BJP, which she has covered for two decades. Witness to the swearing-in ceremonies of two BJP prime ministers, Atal Bihari Vajpayee and Narendra Modi, she has had a ring-side view of the rise of the party. The BJP enjoys the predominant position in Indian politics today. In its journey from coalition politics to single-party hegemony, it has emerged as a very different entity from the one that first came to power in 1998. Veteran journalist Saba Naqvi—who has spent two decades covering the BJP—tells the story from the party’s founding in 1980 to its two stints in power. Shades of Saffron: From Vajpayee to Modi is both a first-person account of racy events as they unfolded in the nation’s history, and a work that raises larger analytical points about the BJP’s growth. 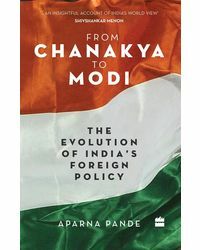 It examines the role of the RSS cadre and its equations with elected leaders, the calibration of ideology, the issue of political finance and the social expansion of the party, as also the cults of personality that would emerge around, first, Atal Bihari Vajpayee and then, more forcefully, around Narendra Modi. 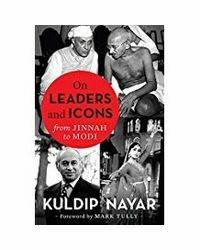 The book provides a riveting account of the party’s difficult journey from ‘untouchability’ (when allies were unwilling to join) to its presumed ‘invincibility’ today. Naqvi’s long-standing equations with members of the party, developed over two decades of consistently fair reporting, delivers a narrative full of insights that are both fresh and deep, and anecdotes that are as lively as they are telling. In revealing hitherto unknown aspects, and reminding readers of the bigger picture, Shades of Saffron is a deep dive into the contemporary history of a party that keeps reinventing itself.About the Author : One of India's best-known political analysts, Saba Naqvi is the author of two books, In Good Faith (2012; an exploration of India's pluralistic traditions in an age of identity politics) and Capital Conquest (2015, which examined the sudden rise of the citizen’s party AAP). The former political editor of Outlook magazine, Naqvi is now a columnist and a familiar face on television as an election analyst and commentator. Her core area of expertise is the BJP, which she has covered for two decades. Witness to the swearing-in ceremonies of two BJP prime ministers, Atal Bihari Vajpayee and Narendra Modi, she has had a ring-side view of the rise of the party.